A 4 mile circular walk from Highgate Station (Northern Line). Waterlow Park can be explored on the route (additional mileage). The walk can also be extended by including part of Capital Ring Walk 11 to or from East Finchley Station (Northern line). This 2 mile walk along sections 9-13 goes through Cherry Tree Wood, Highgate Wood and Queens Wood. It is particularly attractive in the autumn but a good all year round walk as it is mainly surfaced paths. Remember though that Highgate is a hilly area! Details of the Capital Ring can be found on the Walk London website. 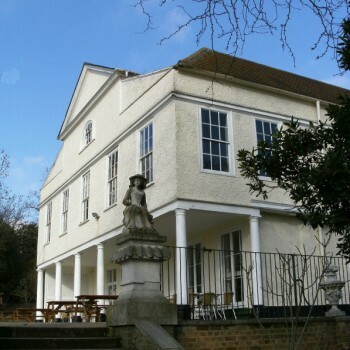 Walk 11 is 5½ miles from Hendon Central Station to Highgate. Note: the easiest way to join the Capital Ring walk to the Village walk is to go through Highgate Station. Highgate begun as a location at which tolls were collected on behalf of the Bishop of London whose hunting park covered much of the area. This small settlement developed in the 1500s due to its healthy position and views of the city. One of the newcomers founded Highgate School, which stills exists. 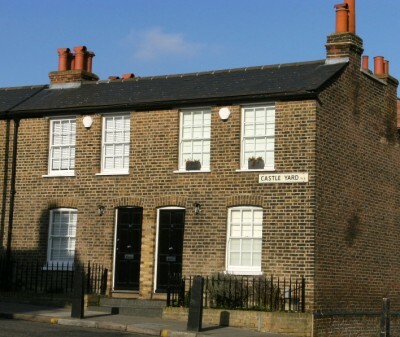 In 1813 Archway Road was constructed as a less steep route, giving the village a by-pass. Although the railway was built in 1867 Highgate escaped the tide of suburbia, helped by the preservation of Hampstead Heath and the Kenwood Estate plus the fact that the bishops retained control of land in the area. From Highgate Station use exit 1 (steps or ramp) to Archway Road. Cross to Jacksons Lane. The former church is now a Community Centre. This was a footpath across Highgate Common. Bank Point and Hillside are 18th century properties. The Limes children's home became a geriatric hospital but is now apartments (Southwood Court). Opposite is a former PO sorting office of 1888. Castle Yard to the right is named after the Castle Inn (demolished 1928) [pix]. The Highgate Tabernacle (1836) became a library for Highgate School. Avalon at number 22 has a plaque to Mary Kingsley. The Almshouses were founded in 1658 by Woolaston, rebuilt in 1722 by Pauncefort (when a girls' school was added) and modernised in the 1980s [pix]. Lauderdale House 1580/1645/1970s [pix]. The grounds of five houses including Lauderdale and Fairseat were purchased by Sir Sydney Waterlow and given to the public in 1889 as 'a garden for the gardenless'. There is the option of exploring the park before continuing the walk. St Joseph's RC Church was built 1875-6. The Whittington Hospital has a number of buildings along this road. This area was redeveloped in the 1970s. Highgate (east) Cemetery is further along. At the end is the Highgate branch library, financed by Andrew Carnegie in 1906. Holly Village on the left was built in 1865 for Baroness Burdett-Coutts. The 8 gothic-style buildings around a green were designed by Henry Darbishire. The baroness is depicted to the left of the entrance archway [pix]. This was originally Swine's Lane. The area to the left (Holly Lodge Estate) was developed as a garden suburb in the grounds of Baroness Burdett-Coutts former home (demolished in 1920). The half-timbered mansion blocks of 1924 provided homes for 'lady workers'. 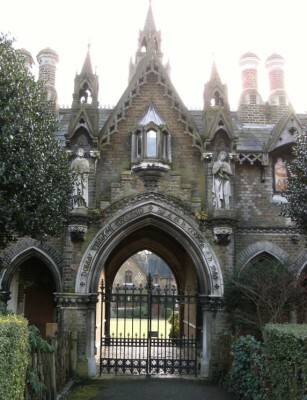 There are entrances to the two sections of Highgate Cemetery (see below). The attractive gates adjoin a lodge building of c1840. Walk up the path to the left, keeping parallel with Swains Lane. Exit at the top by the tennis courts and continue to the end of the lane. On the corner is the former Highgate Dairy of 1891. The Highgate Literary & Scientific Institution was founded in 1839. Beyond this is Church House (No. 10) & Russell House (No. 9). The ponds of Pond Square were drained in 1864. This was formerly the village green. St Michael's Church by Lewis Vulliamy was built in 1832 on the site of Ashurst House. Moreton House (No. 14) was built in 1715 and Old Hall (No. 17) in 1691. Witanhurst was built in 1913 for millionaire soapmaker Sir Arthur Crossfield. Numbers 1-6 were built in the 1680s. Number 3 has plaques to Coleridge and JB Priestley. Opposite is the late 17th century Flask Tavern. Water from Hampstead Wells was once sold here. Further along is the entrance to Fitzroy Park. This would have been the driveway to a large house built c1770 and demolished in 1828. Opposite is a covered reservoir constructed in 1854. Near the end of the road is a parish boundary marker. The Gatehouse pub was rebuilt in 1905 and stands on the site of the gateway to the Bishop of London's estate. Highgate School was founded in 1565 by Sir Roger Cholmeley and refounded in the 1830s when the chapel was demolished. A number of buildings were rebuilt (including the chapel) in the 1860s by Cockerell. There have been later additions to the school. Houses opposite have plaques to John Betjeman and AE Houseman (No. 17). 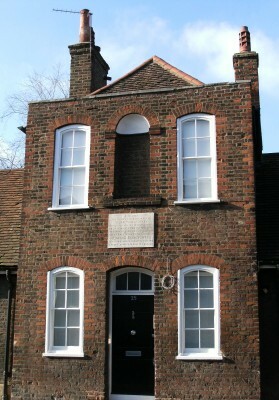 St Michael C of E School was founded in 1833 and now occupies buildings of 1852. A former fire station of 1906 was converted to flats in 1981. 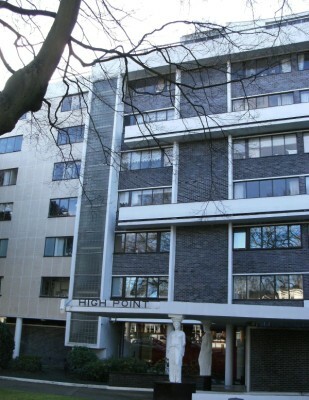 Highpoint 1 & 2 were designed by Berthold Lubetkin and Tecton in 1933-5 [pix]. Number 92 opposite has a plaque which records that Charles Dickens stayed there. This has a variety of buildings including two pubs The Bull and The Victoria. The pink building on the right was a former schoolhouse. At Rowlands Close are Verandah Cottages built as worker's flats in 1863. There are some large properties in this road. Number 16 has gothic features. At the end cross into the passageway opposite and continue along The Park. This has some Victorian double-fronted houses. 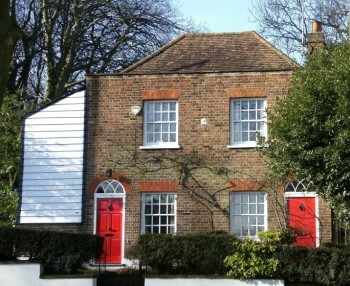 Number 123 was a pair of cottages [pix]. At the end of the road cross Archway Road back to the station.